When it comes down to buying tyres in Glasgow, there is a wide range of retail outlets and quick fit centres available across the city, but should you really go to one of them if you are looking for Cheap tyres. At James Coyle Motor Engineers, you could do better for the best deals on Premium Tyres or Performance Tyres Glasgow wide. We also stock a good selection of Budget Tyres, OE Tyres and 4×4 Tyres. 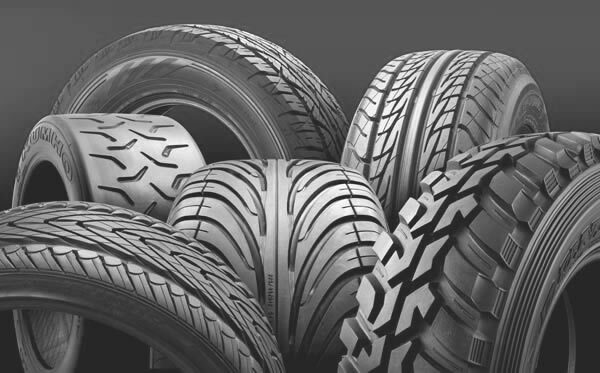 James Coyle Motor Engineers carry a variety of OE tyres, premium tyres, performance tyres, budget tyres and 4×4 tyres. If we do not have the tyres in stock for your car, we can usually have them the very next day. The best thing to do is contact us and we will tell you if we have them in stock or be able to offer you a time to bring your car in for your tyres to be fitted. We have a selection of the tyre brands we carry below. You might find it surprising, but you can get great deals and cheap tyres from you local car garage, James Coyle Motor Engineers the only place to go for a 1st class tyre service. James Coyle Motor Engineers carry a range of cheap tyres, including cheap premium tyres, 4×4 tyres, performance tyres and run-flat tyres. As members of the Good Garage Scheme, we feel obliged to provide you with best tyre deals in Glasgow and if you regularly visit our blog, you might dome some coupons or a code relared to a tyres offer. Our staff can recommend the best tyre for your car, however should you require a particular type, we will certainly do our very best to source them for you. Our tyres are competitively priced and we would advise you to come to us before going to one of the fast fit centres, which often aren’t that fast nor cost effective. James Coyle Motor Engineers will always give you the very best price and as members of the Good garage Scheme you can be assured of a completely professional experience when you buy your tyres from James Coyle Motor Engineers at a price that won’t break the bank but if you have specific requirement, let us know so we can source them, get them and book you in to fit them. Email us at info@jcmotorengineers.co.uk , Call us on 0141 763 0222 or fill in our online contact form for more information or to book your car in for the best priced tyres Glasgow wide. Just because something is the cheapest or most expensive it doesn’t necessarily mean they are the best tyres, yet some people are only interested in performance tyres and believe they are the best but the truth of the matter is that there are many different factors to consider when deciding what exactly is the “best tyres“. Auto Express ran a series of tests on different types, just as they did in 2013. They where tested for Dry handling, Dry braking, Wet handling, Wet braking, Wet cornering, Straight aqua, Curved aqua, Cabin noise, Average price and overall score, here we have given the score for dry handling and the overall score and on top again, Continental tyres proved to be the worthy winner, just as they were in 2013. Remember, this is these are difference with you staying on the road and skidding of and if you have any uneven wear, talk with us about Wheel Alignment, it could make a huge difference to wear and give you greater economy. Any of our staff will be more than happy to answer any questions you may have. Winter tyres are specially designed to perform in wet, icy weather and at very low temperatures as well as in snowy conditions. They have a greater amount of rubber than summer options to ensure they maintain grip in low temperatures as this will enable them to operate to their optimum with low road temperatures. More and more motorists are opting to fit winter tyres these days. They can be an invaluable choice if you live in a remote location which is hit with severe winter weather or if you do a lot of driving covering a lot of miles over the winter months. If you choose to buy winter tyres from James Coyle Motor Engineers, providing your current tyres are in good condition, you can take them away and we will fit them back on your car during the summer months absolutely free. Ask a member of staff for more information about this. The tyres you need depend mostly on the type of car you drive and if you drive short or long distances. If you are only in and around the local area then economy and safety will be a factor when choosing. If you do a lot of motorway driving then you will want a low noise choice, where comfort and fuel efficiency will also be factors in helping you find the right choice. Whatever choice you make, our expert team are on hand to answer any questions you might have. The legal limit for tread depth must be above a minimum of 1.6mm throughout a continuous strip in the centre three quarters of the tread and around the entire circumference. You should ensure that your tyres are inflated to the vehicle manufacturer’s recommendations in the vehicle handbook as if they are over-inflated it causes excessive wear and tear and shortening overall life. You should also inspect their general condition for any sign of bumps, bulges or cuts which could pose a threat and be dangerous when driving. We recommend that motorists check the tread depth, condition and pressure on a monthly basis and before any long journeys. The simple way to check your tread depth is to use a 20p coin. Insert the coin into the tread grooves at three separate places on your tyre. If you can see the outer rim of the 20p piece, then this could indicate that your tread is close to or below the legal minimum of 1.6mm and you should visit us to have your buy replacements. Another way to check tread wear is the Tread Wear Indicators which many tyre manufacturers now include within the tread grooves. When the TWI is worn down, it indicates that the tread may be nearing the legal limit and you should buy new tyres. There are many different Tyres to choose from, and with so many people searching for Cheap Tyres there has been a lot of new Budget Tyres come on to the market.